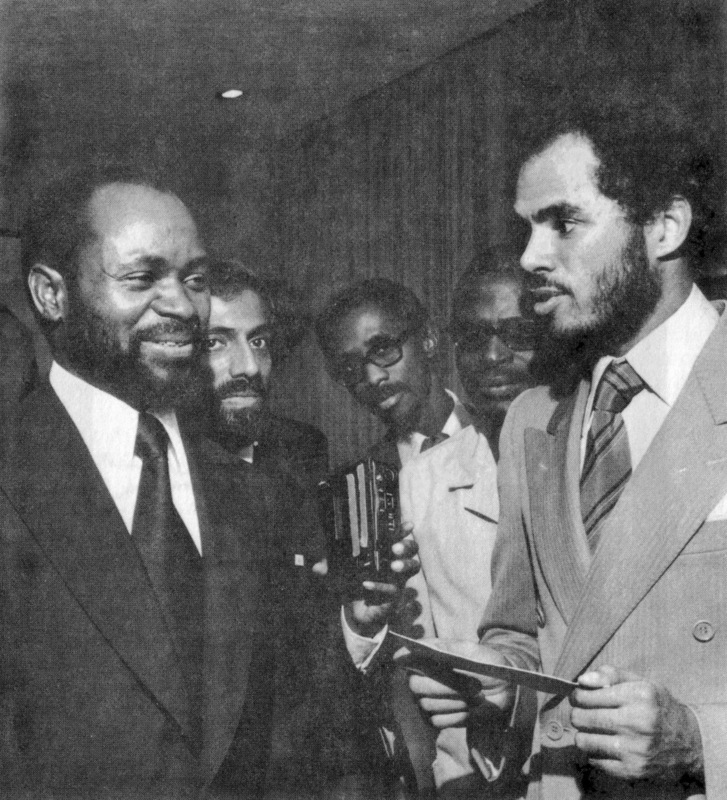 Samora Machel and Robert Van Lierop at the United Nations in 1977. Photo courtesy of Robert Van Lierop, credit Machel Van Lierop via the African Activist Archive. A Luta Continua was arguably the most important of a minor genre of films produced on the liberation struggles that occurred in the Portuguese colonies of Mozambique, Angola, and Guinea-Bissau between 1961 and 1975. Produced mostly by activists, these politically charged documentaries explored not just the dismantling of Portuguese colonialism, but also the construction of a progressive, socialist nation behind the front lines of revolution. Battle footage contrasted with extended scenes from collective farms, rural medical centers, and elementary classrooms—semblances of the independent nation that FRELIMO fought to achieve. Narration explained how these seemingly distant events revealed the global nature of empire and racial inequality. By introducing FRELIMO’s socialist freedom struggle to global audiences, A Luta Continua and similar films aided the creation of a transnational anti-imperial solidarity. Such solidarity was vital for FRELIMO. Tiny Portugal waged a three-front war for over a decade because it had the support of the North Atlantic alliance and western corporations, including Gulf Oil. FRELIMO and its leftist revolutionary allies in Angola and Guinea-Bissau fought back with assistance from neighboring countries Tanzania and Guinea, as well as material support from further afield in Africa, Eastern Europe, and Asia. But leaders such as Eduardo Mondlane—FRELIMO’s American-educated, football loving president—believed that winning over western countries could weaken Portugal and even the playing field. When governments in the United States and Great Britain offered little more than token rhetorical support for decolonization, FRELIMO turned to civil society. It built relationships with the American Committee on Africa and later the black nationalist African Liberation Support Committee, and it helped launch groups like the British Committee for the Freedom of Mozambique, Angola, and Guinea when none emerged organically. The making of films and their screenings helped mobilize this popular solidarity by dramatizing Mozambique’s revolution and linking it with Euro-American struggles. FRELIMO could not produce its own films due to limited resources, so it relied on international allies. 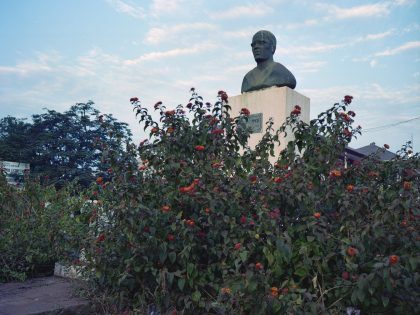 Activists from across the world travelled to FRELIMO’s military camps and educational facilities in southern Tanzania, as well as the regions of Mozambique under the party’s control. FRELIMO invited these filmmakers to see for themselves the revolution in action, then translate the struggle in ways that engaged foreign audiences. They hoped this footage would inspire solidarity and offer lessons for domestic campaigns for social justice. From the early Yugoslavian Venceremos (We Shall Win) (c. 1966) to Van Lierop’s sequel O Povo Organizado (The People Organized) (1976) about Mozambican independence in 1975, FRELIMO—alongside its compatriots in Guinea-Bissau and Angola—collaborated with dozens of filmmakers to internationalize the freedom struggles of Africa. Margaret Dickinson’s Behind the Lines (1971) was the first activist film to target specifically western audiences. This British production set the tone for the emerging genre. It emphasized the social construction of an independent state, diverging from both news coverage of military campaigns and activist films on the denigration of life under colonialism and apartheid. Dickinson had befriended Mondlane in Tanzania and come to share his vision for a free Mozambique, helping him write The Struggle for Mozambique not long before his assassination in 1969. Seeking to inspire a British anti-colonial movement that could undermine the alliance with Portugal and provide material aid to FRELIMO, Dickinson took up the camera to focus on “politics in the small scale of daily life… on how Frelimo was changing life in a detailed way already—even without winning the war—in liberated areas.” In addition to structural improvements in such areas as education and healthcare, Dickinson emphasized FRELIMO’s dedication to true social equality, fighting not just colonial racism but the gender discrimination present in both colonial and traditional societies. These images of women working and fighting alongside men effectively integrated the Mozambican revolution into the wider feminist and anti-imperial movements that roiled the Euro-American world in the 1960s. Van Lierop’s A Luta Continua followed in 1972, named for the phrase Mondlane often used when signing correspondence. 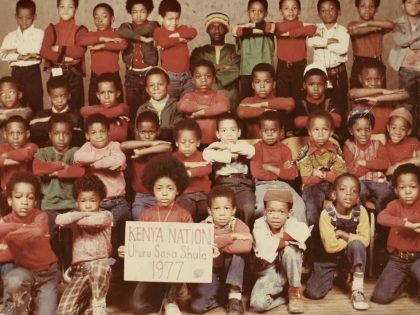 The New Yorker of Surinamese descent saw in FRELIMO’s revolution lessons for how African Americans could wage their own domestic struggles for self-determination. Behind the Lines was important, especially among New Left audiences, but its European origins meant Pan-African connections were few. 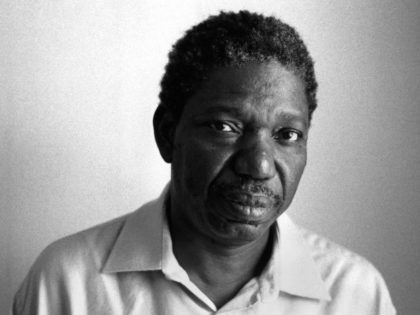 With Student Non-Violent Coordinating Committee (SNCC) photographer Bob Fletcher as cinematographer, Van Lierop’s film revisited many of Dickinson’s themes but added new insights particular to black diasporic audiences. Its popularity came from this linkage of the Mozambican revolution with struggles for civil rights and the Black Power movement’s calls for socio-political renewal. A Luta Continua revealed in concrete terms the global structures supporting racial inequality and the need for concerted effort to achieve real change. This message resonated not just with black American audiences, but with many at the time who sought to challenge racist, unjust societies. A trained lawyer, Van Lierop refused to copyright the film, with the intention that anyone who could obtain or reproduce a copy could show it. A Luta Continua rarely if ever appeared in theaters, but was viewed widely in the United States and abroad. One Chicago group reported 100 screenings for black, school, and church groups in only 12 months. Activists and even revolutionaries—including FRELIMO’s New York representative, Sharfudine Khan—spoke at showings to promote action in solidarity with African liberation, broadly defined. Solidarity organizations recruited with the film, and both men and women cited it when arguing for a move toward greater gender equality in the Black Power movement. Word of mouth even places a copy of the documentary in Soweto before the famed student uprising of 1976. The film’s popularity meant few copies survived repeated screenings and reproduction. Only a handful exist in archives, including at the Schomburg Center where Van Lierop donated his papers and copies of both his Mozambican films. Fortunately, the broad appeal of the documentary meant activists televised it in major cities like Boston. That’s where I discovered a copy embedded within WGBH’s 1970s black talk show Say Brother, which we digitized with Van Lierop’s permission and assistance from the African Activist Archive. This copy has proliferated on Youtube as many have found in it a timeless example of anti-imperial, Pan-African collaboration. Activists and filmmakers the world over still recall the impact this generation of activists-turned-directors had on them. Neither obsessed with revolutionary violence nor overwhelmed by systemic inequality as films on Algeria and Apartheid had been, the Mozambican documentaries offered prescriptions for transforming society and individuals. Sylvia Hill, later a prominent anti-Apartheid activist in the US, remembers leaving a screening of A Luta Continua and “for the first time having this sense that you can have a science of change.” The Dutch filmmaker Ike Bertels was so impressed by three female fighters in Margaret Dickinson’s film that she spent decades following their lives for the bittersweet documentary Guerilla Grannies, in which she finds ongoing lessons for “how to live in this world.” With these films and their descendants finding expanded audiences online, a new generation is rediscovering the social meaning of revolution and bonds of solidarity that once fueled a global movement. A final appeal from Ambassador Robert Van Lierop himself: As people rediscover these important films, it’s vital to remember the struggle continues to this day in Mozambique. The new state promised by FRELIMO faced glaring obstacles from its birth in 1975, including an extended civil war funded in part by the United States and major cyclones in the 1990s. The recent devastation caused by Cyclone Idai is another example of the ongoing inequality of the global system, this time exacerbated by the developed world’s inattention and inaction on climate change that disproportionately affects nations of the global South. We encourage readers to donate to relief efforts in Mozambique as the country continues to rebuild. 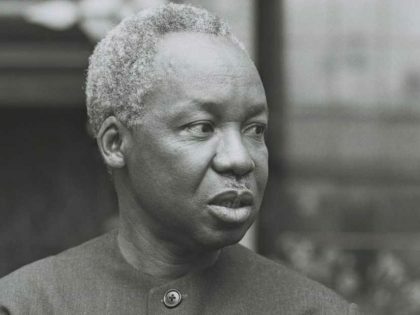 Why did Tanzania and Julius Nyerere become touchstones for Pan Africanism in the 1960s and 1970s? Juan Orrantia, a Colombian photographer who lives in South Africa, interviewed on his project on the Guinea-Bissauan liberation hero.